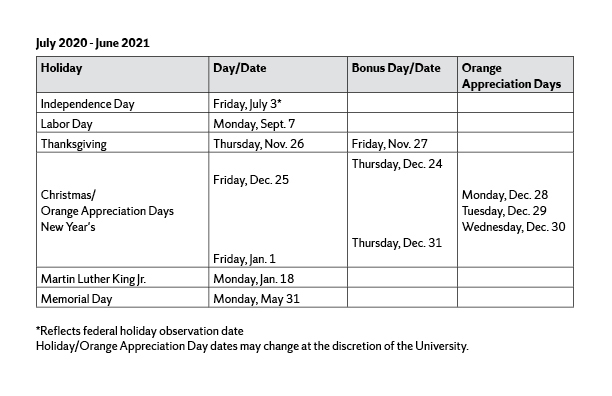 As part of Syracuse University’s continuing commitment to providing comprehensive benefits and to assist faculty and staff as they plan yearly personal and vacation time, the Office of Human Resources today announced the University’s holiday schedules for Fiscal Years 2020 through 2022. 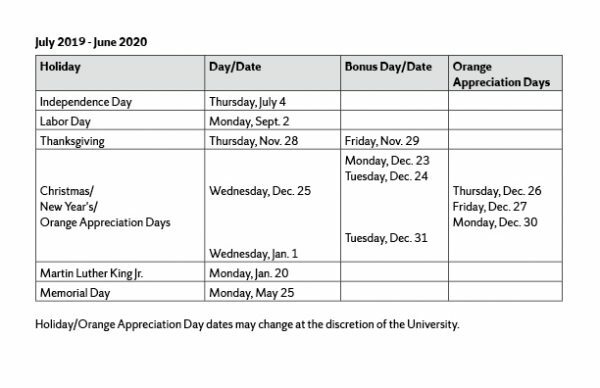 Included in these schedules are Orange Appreciation Days, which replace what were previously known as Green Days. 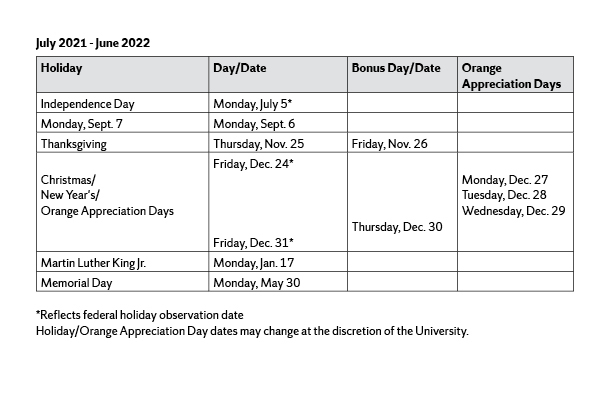 The schedules below are organized by University Fiscal Year (July 1 through June 30). Accessible versions can be accessed by clicking on each of the schedules.